Larry Burkhalter's practice focuses on products and premises liability, professional negligence, transportation, construction litigation, medical malpractice and nursing home litigation and toxic torts. 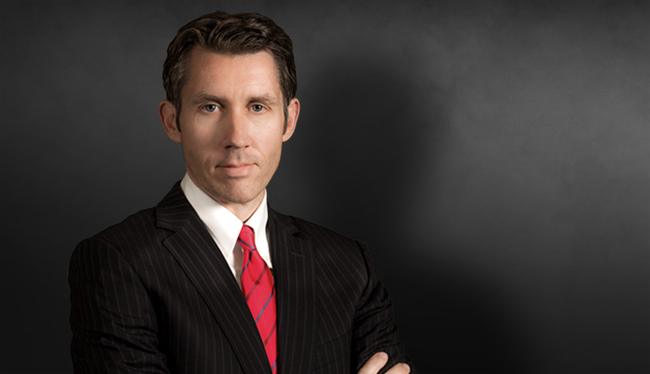 He has litigated cases involving traumatic brain and spinal cord injuries, severe burns and wrongful death. Larry has significant experience representing clients in class action opt-out cases. Defense verdict for a hospital and its staff in a medical negligence lawsuit brought by a patient that allegedly suffered permanent nerve damage and reflex sympathetic dystrophy. Defense verdict for national automotive lobby and consumer group after a two-month trial in a lawsuit brought by a severely burned victim in an automotive accident/trucking accident. Defense verdict in an aviation wrongful death action involving the crash of a private aircraft. Defense verdict in a tortious interference action between two transportation companies over a bid contract for commuter rail service. Defense verdict for an international hotel chain sued for wrongful death for an alleged dangerous condition on its resort property. Defended and obtained favorable settlement for a company and its driver/employee in a lawsuit brought by a severely brain damaged victim involved in an automotive accident/trucking accident. Defended and obtained favorable settlement for a hospital and its nurse in a medical negligence lawsuit brought by a severely brain damaged patient. Defended and obtained favorable settlement for a national hotel ownership group and its management company in a toxic tort lawsuit brought by the estate of a fatally injured hotel guest and his brain damaged father for injuries caused by carbon monoxide exposure and poisoning. Successfully pursued appeal to the Third District Court of Appeals in Miami-Dade County, Florida on behalf of a dentist in a professional negligence case where the appellant attempted to compel binding arbitration after the claim was denied pre-suit. Representing gun manufacturer in class action issues in class action opt-out cases in product liability litigation.